Although secured loans are not an option, there are still some loans for tenants with affordable rates. Shopping around will prove useful in securing the best interests rates for tenant loans, but there are some lenders who should always be avoided. There are a number of different loans available to people who are renting or leasing accommodation. There are lenders that give specifically to tenants, or it could be that a loan application will have a section specifically for tenants. The main difference with loans for tenants and loans for home owners is that tenants cannot use their homes as security. On loan application forms the lender will want to know what kind of tenant the applicant is. Tenants can include private tenants, students living in student accommodation, council tenants, or people living with parents. The amount of time that the tenant has been in the accommodation will also go towards the lender’s decision to supply a loan. Lenders use credit reference agencies to help make their decision over whether or not to lend credit. The more points you have on your credit score the better your chance of securing a loan. In some cases not being a homeowner can be a disadvantage when trying to secure low interest rates. However, a tenant who has lived in a property for a number of years, usually around three, and has a clean credit record should be able to secure favourable rates of interest. You simply need to place the words “tenant loans” into any internet search engine and you will find a host of companies that supply loans specifically for tenants. While many of these companies may be reputable, borrowers should always be wary of lenders that state “no credit checks” and “instant cash”. In most of these cases lenders that entice customers in with these claims will charge exorbitant rates of interest. There are also high street chain lenders that supply loans for tenants but will only do so for small loans, and they will call at the home to collect the repayments. Often called doorstep lenders, these companies also charge very high rates of interest, and usually target people with bad credit records. This type of lending should be avoided if possible. Using comparison websites will help tenants find the best rates of interest on their loans. Price comparison sites will be able to calculate interest rates and loan time scales, and then supply repayment amounts. There may be some extras that comparison websites cannot calculate such as arrangement fees, payment holidays and early repayment rates. 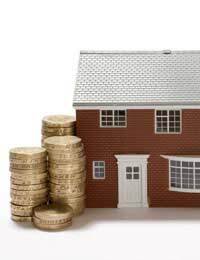 Most of the loans available to home owners should also be available to tenants. The only difference may be that the interest rates can be higher with tenant loans. No security will mean a greater risk for the lender, but annual percentage rates should be in proportion to credit scores and length of time in the accommodation. Tenants looking for loans should be very wary of brokers and loan companies that contact them to say they will arrange loans. Many will obtain an applicant’s name and address after the applicant has previously applied for a loan and been refused. They will then contact the applicant claiming to be able to supply a loan and will charge a fee for doing so. In reality these loan finders will take the fee, usually around £50, and then simply suggest some loan companies to call. If tenants are looking to borrow they should avoid this kind of loan finder; the same information can easily be found by the applicant without paying a fee. Loans for tenants with affordable rates can be found providing they meet the lender’s criteria, and have a steady salary, a good credit record, and a number of years in the same accommodation. Tenants should never simply take the first loan offered, and should always compare interest rates in order to receive the best loan deal that they can.